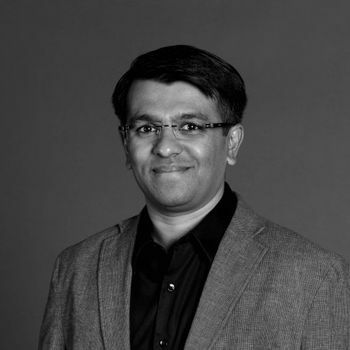 Harnish Jani is an award-winning designer, entrepreneur and innovation executive with nearly 15 years of experience launching industry-first disruptions. An eclectic thinker, Harnish has a multidisciplinary background in human-centered design, innovation management, product development and engineering. His broad range of experience has allowed him to deliver bottom-line successes and commercialize 30+ products and services that integrate substance, style and story. At BCG Digital Ventures, Harnish serves as Strategic Design Director and Venture General Manager. In this role, his efforts lie at the crossroads of design, business, technology and culture. He works passionately to help organizations innovate and launch disruptive businesses while transforming their internal innovation culture. Outside of DV, Harnish has partnered with a global roster of corporations, including Intel, Unilever, Dell, Samsung, Panasonic, Amgen, SC Johnson, Hamilton Medical and Life Technologies, among many others. Through this work, Harnish has been able to unearth game-changing opportunities, codify practices for evolving innovation methodology and mentor the next generation of leaders.